Oooooooooh, this has just made me even more pumped for book three in this series. 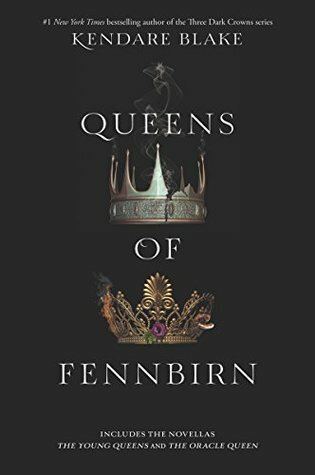 Queens of Fennbrin contains two different tales. The first details the beginning of the three dark queens we all know and love so much (Arsinoe, Mirabella, and Katharine). The second reveals the history behind Queen Elsabet, who has been alluded to in Blake's previous novels. If either of these backstories piques your interest, then buckle up and jump on this wild ride. 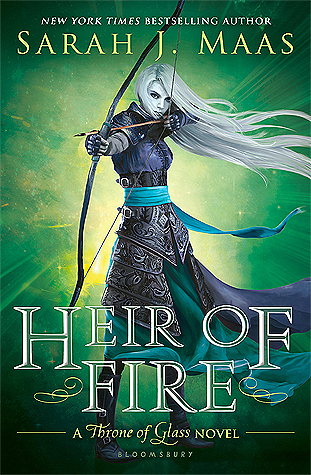 I was seriously surprised by how much enjoyment I reaped while reading Queens of Fennbrin. I don't usually enjoy novellas, but because I enjoyed One Dark Throne so much, I was excited to get a peek into the lives of the three sisters before they began battling for power. Elsabet's story was equally as interesting, and both left me anxiously awaiting Two Dark Reigns. Congrats to Blake for winning me over with this short book, and fingers crossed that her next release is equally (if not more) impressive.